Ever been stuck in a nasty traffic jam and wished you could fire up an emergency siren and watch the cars around you make themselves scarce? I think we've all had that fantasy once or twice. But the mega-wealthy class in Russia have figured out how to turn it into a reality. 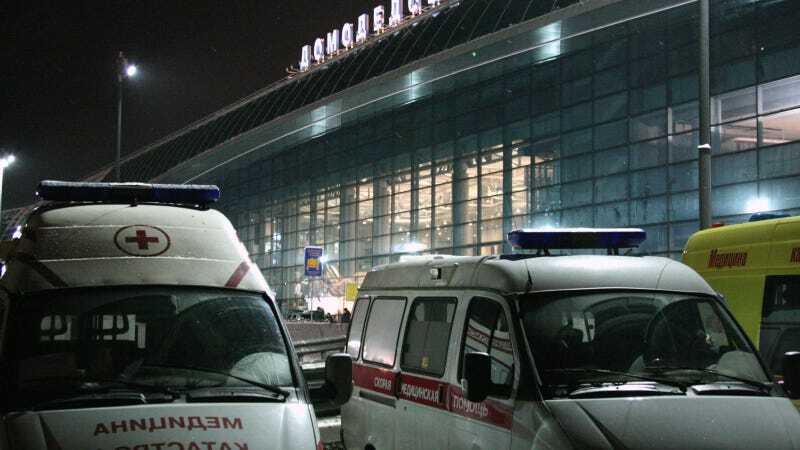 According to this story in Canada's National Post, cops in Moscow have been ordered to inspect ambulances after learning that VIP commuters are riding around in "ambulance taxis" that cost as much as $200 per hour. These aren't just ordinary ambulances, either. They've been cleverly fitted with fancy and luxurious interiors so their passengers can eat caviar and sip champagne while they blow through traffic with lights and sirens blazing. A law enforcement source told Izvestiya newspaper that one such vehicle had already been identified. “During a patrol, a medical car was stopped because it was breaking traffic rules,” said the source. “The driver appeared strange, and did not resemble an ambulance driver at all. The source added that inside the ambulance were “not medical personnel but some people in civilian clothes who refused to identify themselves." Posing as a cop or any other kind of emergency worker isn't just awful, it's also illegal (in the U.S. anyway, and presumably Russia too.) But you have to admit that this idea is insanely clever. Super dickish, but clever. I don't suspect that these passengers and fake paramedics will get away with this scheme for too long, though. I can't imagine all the normal working schlubs in Moscow who are stuck in traffic find this amusing. Can't wait to see the dash cam when one of these jokers gets rammed, though.